Results of the first full year of Measure H funding are in, demonstrating widespread progress as services ramped up and thousands of individuals and families were housed temporarily or permanently, Los Angeles County officials said Friday. Measure H was passed by Los Angeles County voters in March 2017, with services beginning the following July. Between July 2017 and June 2018, thousands of people benefited directly from programs funded by the measure. * 2,842 clients were linked to new Intensive Case Management Services for permanent supportive housing, 1,317 clients received federal rental subsidies and 1,229 clients received local rental subsidies. * More than 300 Measure H-funded outreach workers, including those assigned to 36 multidisciplinary outreach teams, are now working across the County to address the immediate needs of homeless residents and link them to programs and services. *Countywide Benefits Entitlement Services Teams helped 6,824 disabled individuals with applications for Supplemental Security Income or Veterans Disability Benefits. * Between December 2017 and May 2018, 972 new jobs in the homeless services delivery system have been filled across the region—an important achievement to build capacity among providers. “These first-year results show that the initial impact of enhanced supportive services and expanded outreach efforts, along with new interim and permanent supportive housing, will allow us to assist individuals in ending their cycle of homelessness,” said Supervisor Kathryn Barger. 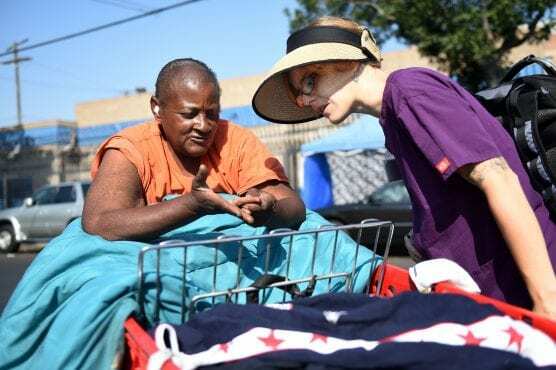 Through the voter-approved quarter-cent sales tax, Measure H is expected to generate $355 million a year for 10 years in funding dedicated to fighting homelessness. The five-year goal is to provide permanent housing for 45,000 families and individuals while preventing homelessness for 30,000 others. To read the full Homeless Initiative Quarterly Report, [click here].